Welcome to a little town in northern India called Bir. Bir is located about two hours drive from Dharmasala airport. 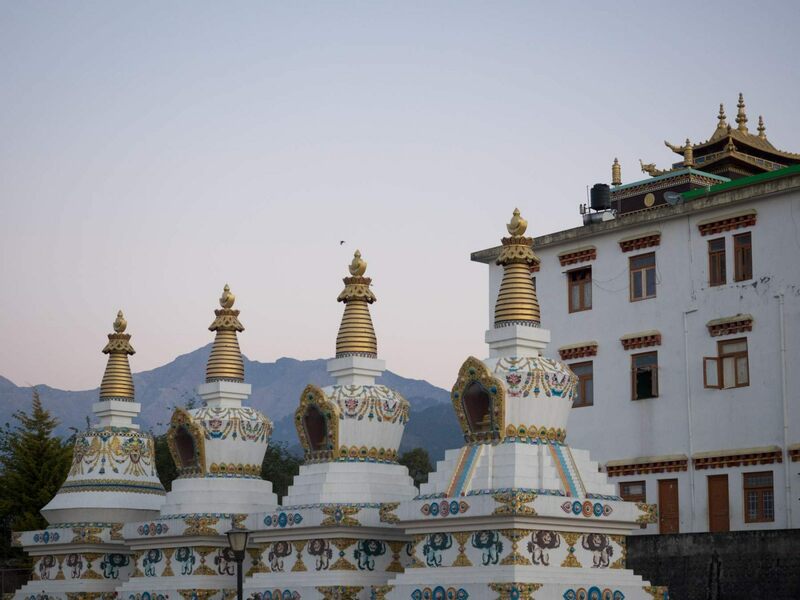 It's a beautiful little town with warmhearted people, looking very much like Tibet. Stupa is a dome like monument, which is now used as a place to meditate. The shape of the stupa represents a meditating Budha, In the past stupas were used to hold the remains of nuns or monks. 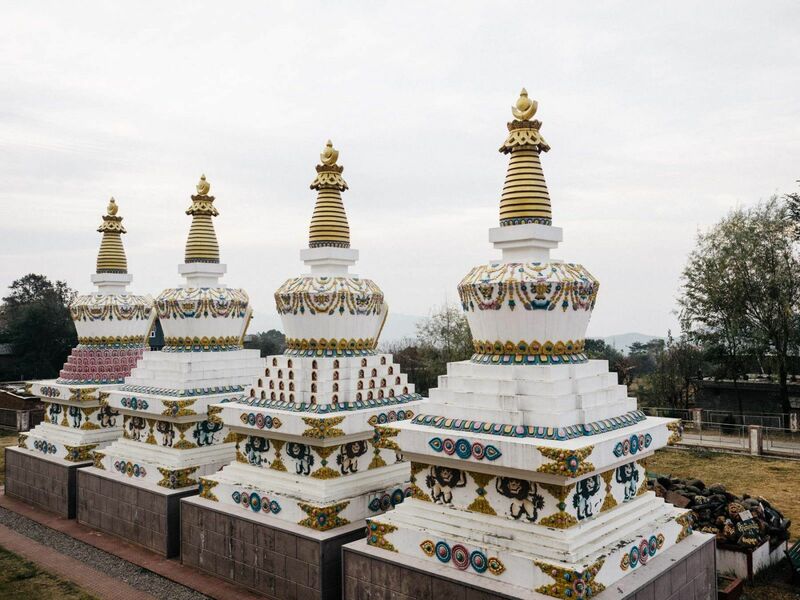 In Tibetan culture there are eight different kinds of stupas, each represents a major event in Buddha's life. Lotus Blossom Stupa - Birth of Buddha after which he took seven steps each of the directions (North, South, East and West). The flower sprung in each direction, symbolising compassion, love, joy and equanimity. Enlightenment Stupa - this stupa symbolises Buddha at his age of 35, where he was sitting under the tree, meditating. Stupa of Descent from the God Realm - Buddha spends time in summer retreat where his mother need for her kidneys to be repaired. This happens after Buddha teaches her about Dharma. Stupa of Reconciliation - represents the Buddha uniting the disputing sangha community. Stupa of Complete Victory - the stupa has tree steps, representing prolonging Buddha's life for tree months. 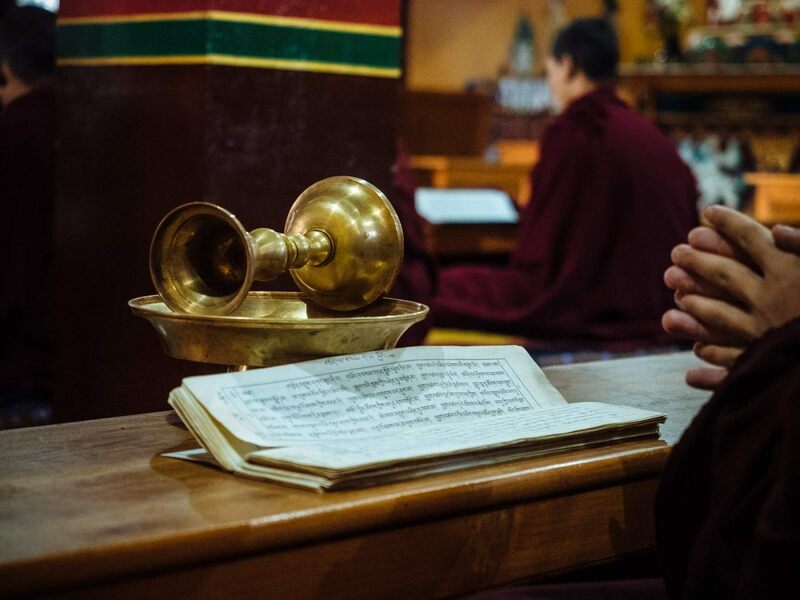 Puja is an expression for "honour and devotional attention performed by monks while chanting, using instruments and praying. 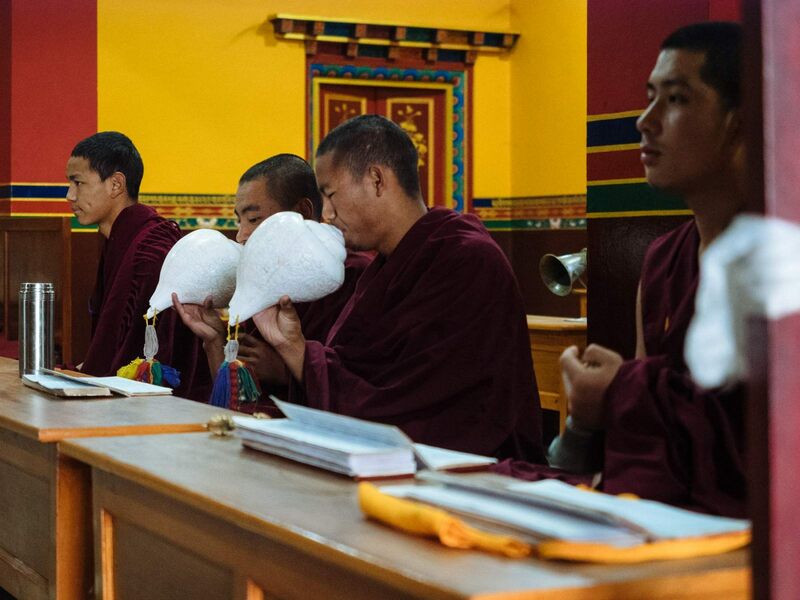 This is performed here in the Monastery twice a day. Early in the morning before breakfast and later in the afternoon. It too my breath away, listening to all the melody that was coming out of the sea shells. 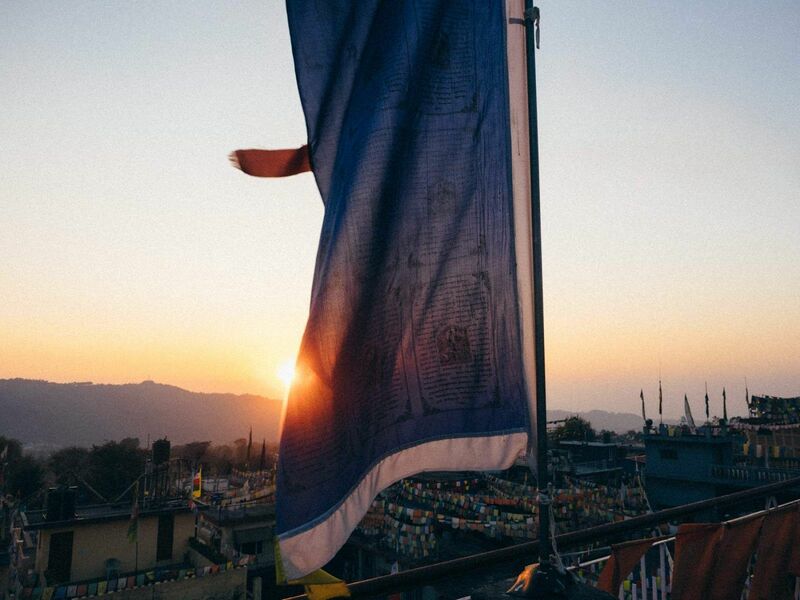 Prayer flags are one of the most know symbols in Buddhism. These flags do not carry prayers as people usually think. 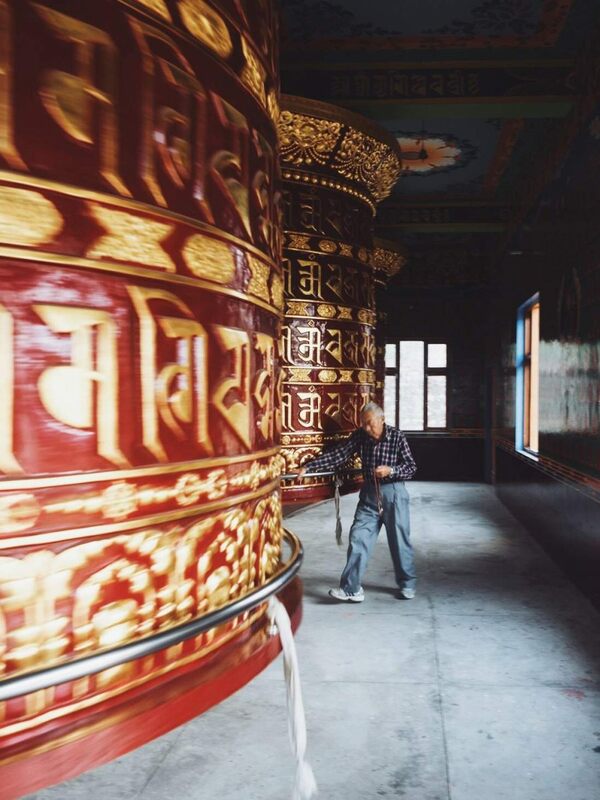 The Tibetans rather believe the prayers and mantras will be blown by the wind to spread the compassion into a space. Therefore these flags are always placed on the roofs or mountains where the wind blows. White symbolises air, red fire, green is water, yellow is earth, and blue is wind. 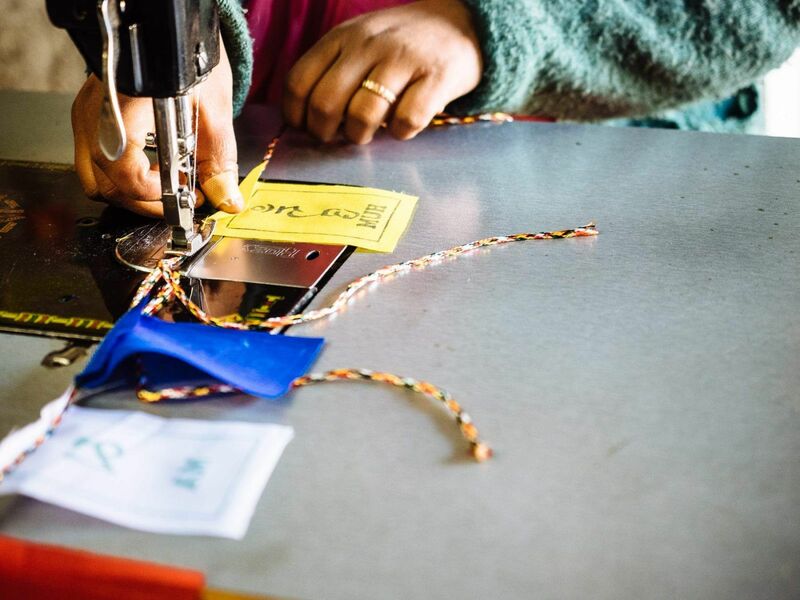 Here in Bir, they have a small factory, where the ladies work hard for these flags to be distributed in different places in the country. Receiving flags as a present is a good luck and people believe you should't buy them for your self. If you do receive them, never put them on a ground, but high on the roof or window, where the wind can reach them.